Bill often tells his patients "everything is connected". Your emotions influence your body chemistry which in turn influences your nervous system. Your nervous system controls the tension in your muscles. Your muscles dictate the positions of your bones. If your bones are pulled out of alignment your joints cannot work as easily and there is increased likelihood of damage. If your connective tissues are under too much strain your organs become vulnerable. Somewhere along this chain of events there should be the potential to intervene to improve matters. Some people simply need structural osteopathy to ease tight muscles and mobilise joints. Some people may be compensating for an injury (recent or old) which interferes with normal activities. Postural problems are common. As we age our bodies change shape and new strain patterns emerge. Treatment from osteopaths may include massage, rhythmic joint movements and other techniques to stretch, mobilise and ease painful, tight, aching muscles and joints. 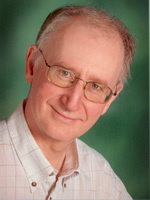 Bill Ferguson regularly sees patients from all over Kent and East Sussex. This includes Ashford, Canterbury, Hastings, Maidstone, Rye, Tenterden. Locally patients come from a wide range of villages and towns including: Appledore, Battle, Beckley, Benenden, Bethersden, Bexhill, Biddenden, Bodiam, Brookland, Cranbrook, Flimwell, Frittenden, Goudhurst, Hamstreet, Hawkhurst, Headcorn, High Halden, Marden, Newenden, Northiam, Peasmarsh, Pluckley, Staplehurst, St Michaels, Smarden, Wittersham and Woodchurch.